This is a sponsored post written on behalf of Upparent. All opinions expressed are my own. Back to school season means lunch-packing season for many moms. After a break from packing lunches over the summer, it can feel hard to be motivated to make healthy and yummy lunches for kids again. In addition to this, you might find it difficult to think about the undertaking with a no-waste lens. 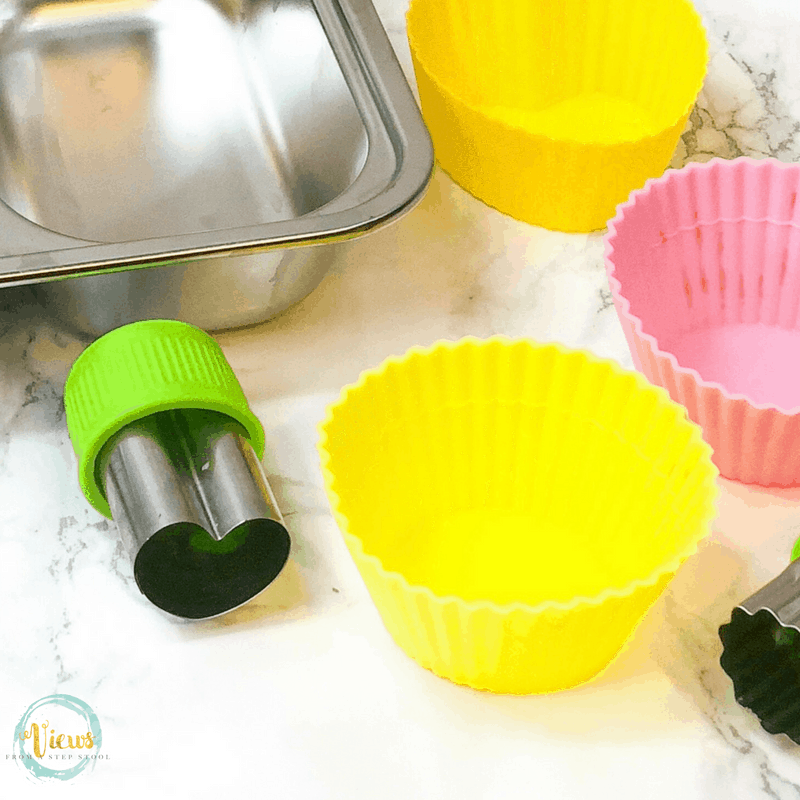 I have a list here of some supplies that can make this much easier on you, and if you are looking for the best products for packing waste-free lunches, there’s a whole list on Upparent that you can use as a resource as well. 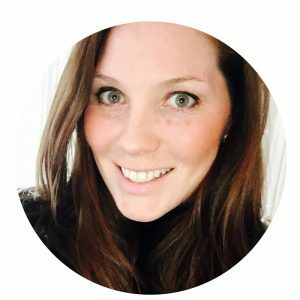 Upparent is an exciting new startup that is helping to gather conversations by parents into one place. Here you can find family-friendly recommendations about things to do, places to go and products to buy. It is easy to use, and as I mentioned above, you can find lists for just about anything you need as it’s searchable and easy to browse. Additionally, you can contribute to lists or polls, helping other parents out. We all know how important that is. 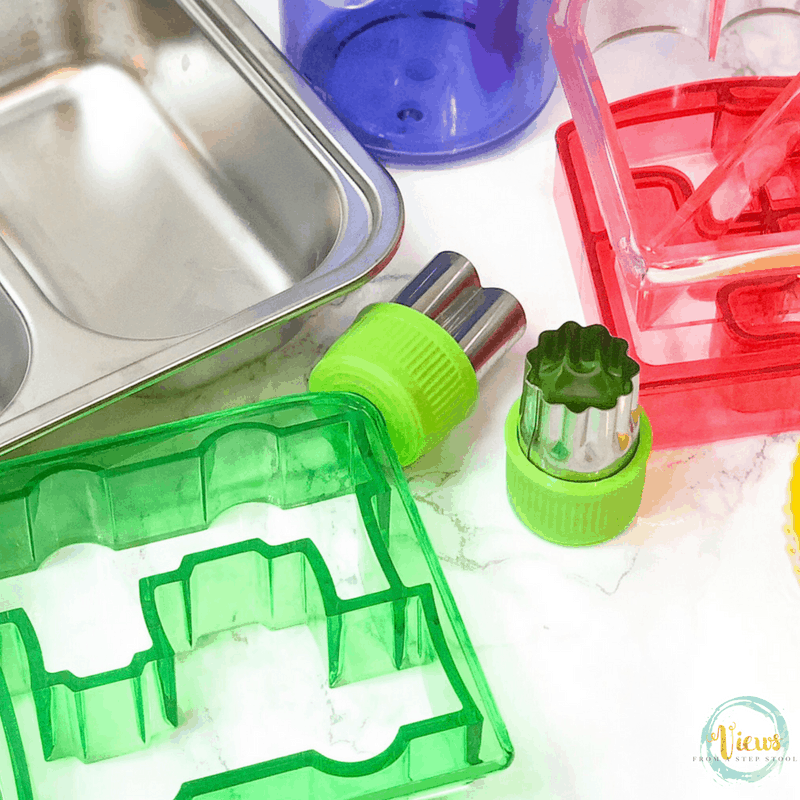 So, check out other moms’ best-loved lunch-packing essentials over there, and check out my waste-free essentials below! Want to Win with Upparent? Upparent is giving away some great prizes. Enter to win below. 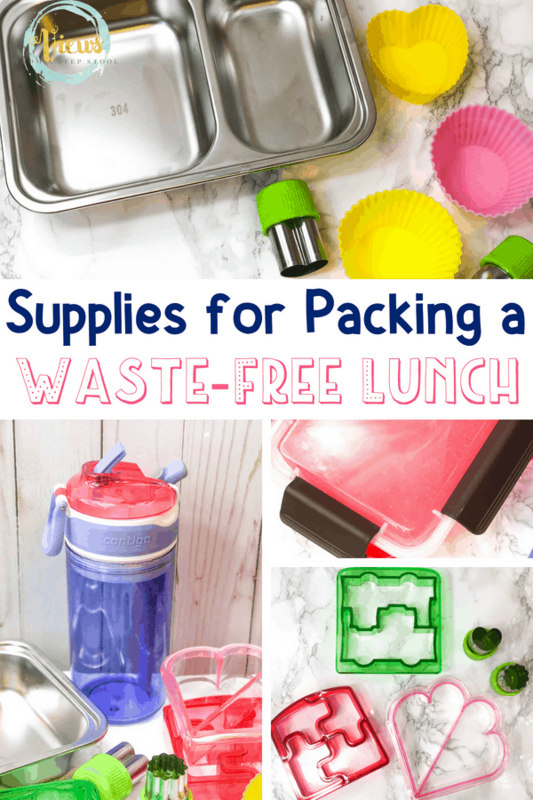 A waste-free lunch is one that doesn’t include any trash and uses reusable items. Why is this important? It has been estimated that on average a school-aged child using disposable lunch items generates 67 pounds of waste per school year. That’s a lot! 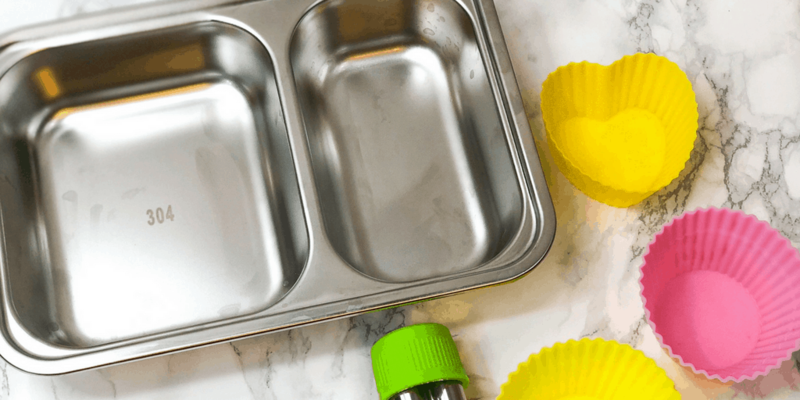 Going waste-free for school lunches might be overwhelming, but in the end, you will save yourself money and will be doing the environment a favor (and teaching this to your kid is pretty cool too!). A lunch sack or insulated reusable lunch box are key for carrying lunch. Avoid single-use paper sacks for lunch. This is a really easy and cost-effective way to start! Inside the lunch box, you can choose from a number of different reusable containers. We like to use a bento box lunch container as it keeps the food separate without needing individual plastic baggies for foods. Additionally, it’s a really easy way to make lunch look appealing! There are a number of other really great stainless-steel options, some are insulated to keep food warm. We like to use a steel Thermos for soups or pasta. Using these reusable containers and carriers eliminates the need for plastic bags or aluminum foil in the lunch box. While it might sound small, that will really add up! Napkins and silverware can make a big difference! If you want to start with a waste-free lunch, here is an easy place to start. Opt for cloth napkins and steel silverware and straws. Additionally, packing a reusable water bottle can eliminate extra plastic. My son likes to drink milk with his lunch, so we use an insulated Thermos with a screw lid for this so that a straw cup doesn’t get gross throughout the day (those straws can be hard to clean). Grab a set of reusable bags for loose foods such as trail mix, nuts, or dried fruits if placing something in a bag is easier for you! 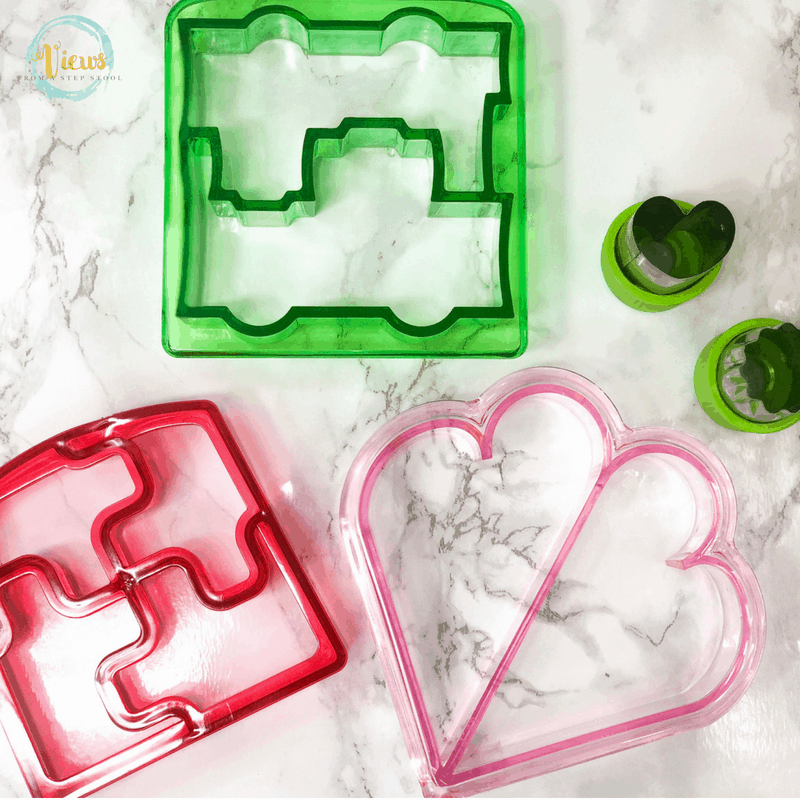 A set of cookie cutters can turn a turkey sandwich into a sun or a dinosaur, and some small veggie cutters make bite-sized fruit and veggie pieces that kids can’t resist popping in their mouths. Packing a waste-free lunch can be fun! 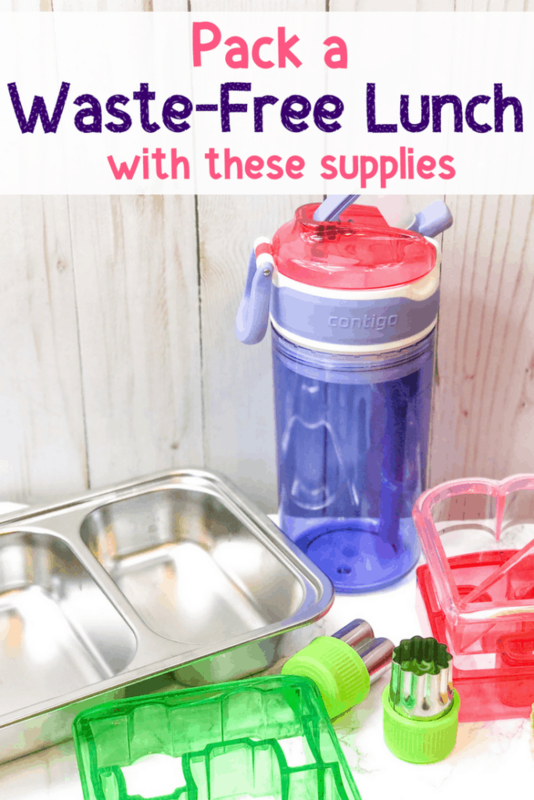 Get your kids involved by having them help you prep and pack and discuss why you are using some of these supplies to pack your lunch. Even the lunchbox notes that I stick in my kids’ boxes are laminated, so they can bring them home to wipe off and use again another day!